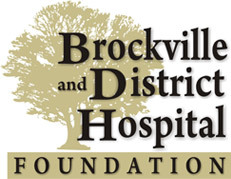 The Brockville and District Hospital Foundation supports the Brockville General Hospital’s commitment to provide compassionate patient care and excellence in the provision of their programs and services. To achieve this, it is necessary to fill the gap between government funding and the greater needs of the hospital. That is why your donations are so important to us; they buy vital equipment and support programs and services. Your donations give our Healthcare Professionals the tools they need to provide the best possible care to every patient at Brockville General Hospital. Giving should be easy. What one individual finds suitable isn’t necessarily the same as another. At the Brockville and District Hospital Foundation, we help people find an option that fulfills their wishes. Feel free to review our donation options and call the Foundation at 613-345-4478.